"I believe in fully informing my patients about their medical problems in order for them to participate in making medical decisions." 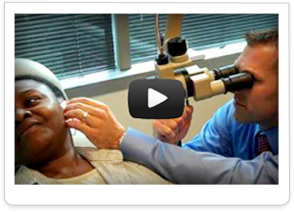 Dr. Wolfe will take the time to fully explain aspects of your otolaryngology problem. He is aware that many medical problems, as well as their solutions, can have a major impact on a person as well as those around them. With careful discussion, Dr. Wolfe and you can decide on a treatment plan that will get you back to the things you enjoy. Dr. Wolfe is happy to evaluate and discuss any otolaryngology issues. His particular interests are in thyroid surgery, salivary gland surgery, head and neck tumors, and other “lumps and bumps” in the head and neck area.